Three-time Grammy winner Jill Scott and her drummer fiancé Lil John Roberts had a baby boy yesterday, April 20th at 4:20p.m. The baby weighed in at 7 lbs., 8 oz. and was given the name Jett Hamilton Roberts. Born at 4:20 on 420…..maybe it’s only cool to some of us. Jill Scott first revealed she was pregnant in January at the Television Critics Association conference in Los Angeles. 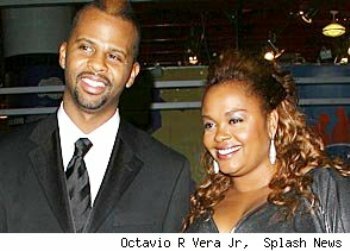 Jill Scott and Lil John Roberts began dating in 2007 and announced their engagement at a concert in New York City on June 20th of last year. This is the first child for both Lil John Roberts and Jill Scott. 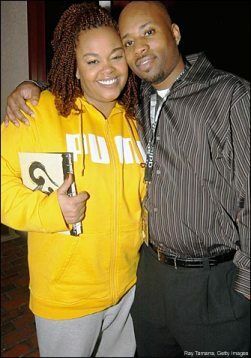 I don’t know much about Jill Scott so I had no idea that she used to be married. Of course my inquiring mind wanted to know who this ex-husband of hers is…..
53 queries in 1.486 seconds.